It’s only Monday and vacation! It’s only Monday and we are on a two week vacation. 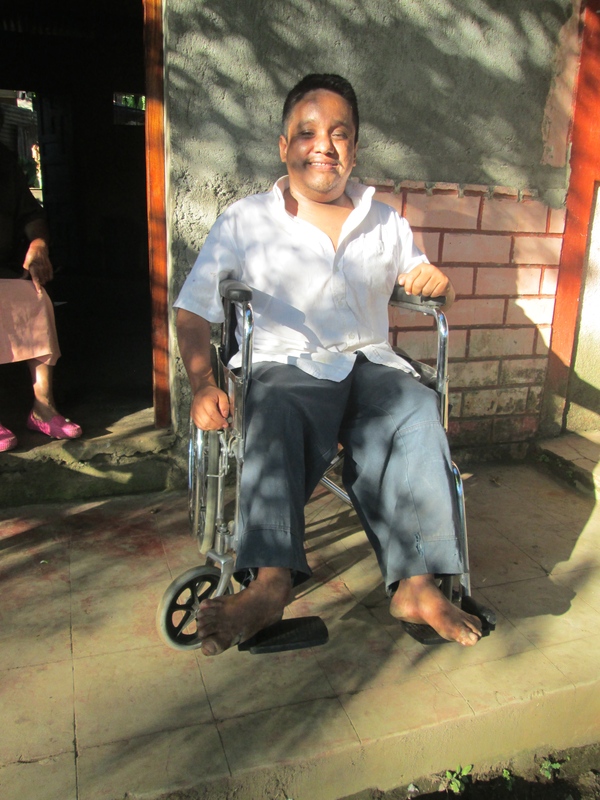 Nonetheless I have distributed four simple folding wheelchairs for transportation purposes. It was precious to hear Brayon gasp as he saw me wheel his chair to his house. Needless to say he was very appreciative of the wheelchair, as he can now go in the microbus and moto taxi. His world is opening up. I also met Ezekial’s mother who will come to meet the visiting speech pathologists at the end of January. 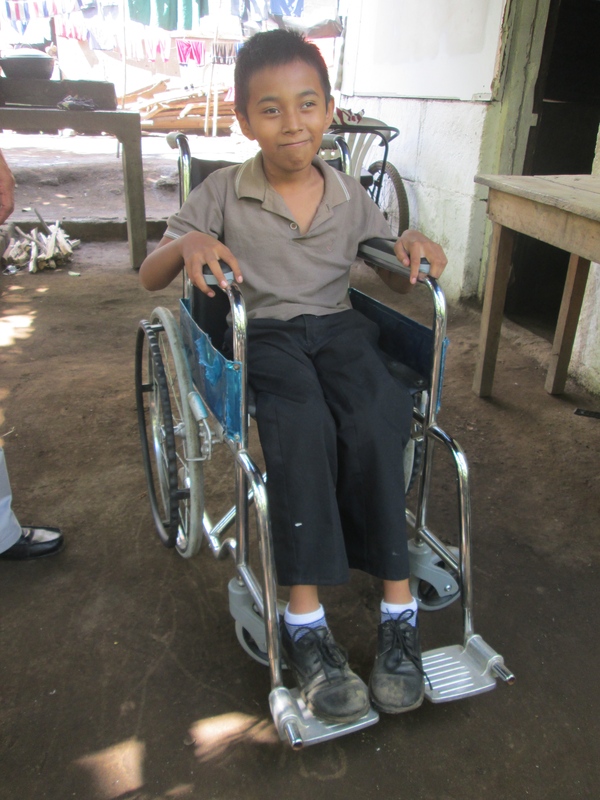 While wheeling another chair to the carpenter to get a tray made, an elderly lady beckoned me over and asked if I had a wheelchair for her 34 year old son Neptali. I had seen him in a chair, however was told that he shares it with his elderly aunt whom I also met. Within ten minutes I delivered a chair to Neptali. We were all thrilled! Neptali also needs forearm crutches, which I shall try to purchase. Chairs were also delivered to Jose who has a head injury, and a motor cycle with three people on board, picked up a chair for an elderly lady whose chair is broken. Cristofer’s family came to pick up his crutch, so he now has two! 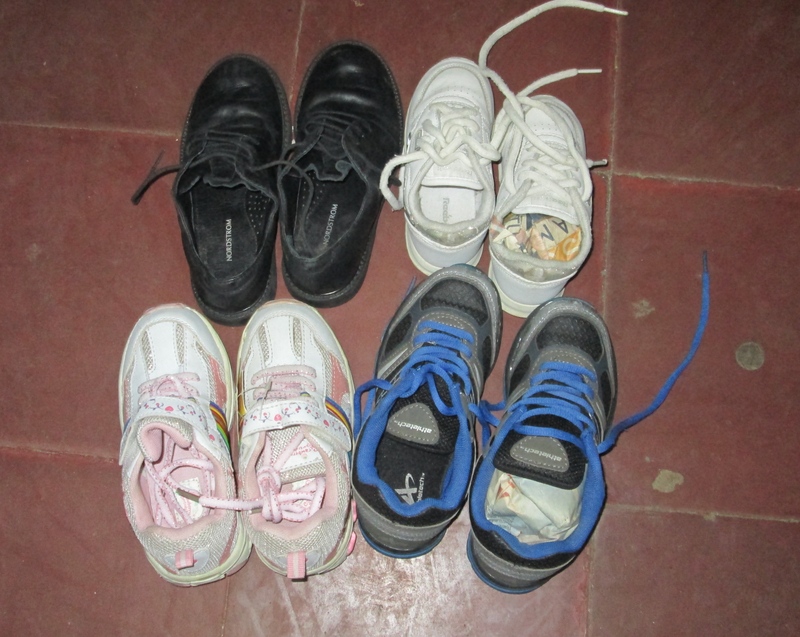 I bought four pairs of supported shoes, much needed by Gina, Maria Isabella, Brayon, and Derling, all who receive physical therapy. They either had very worn out shoes, crocs, or similarly unsupportive shoes.